“Birds do it. Bees do it. 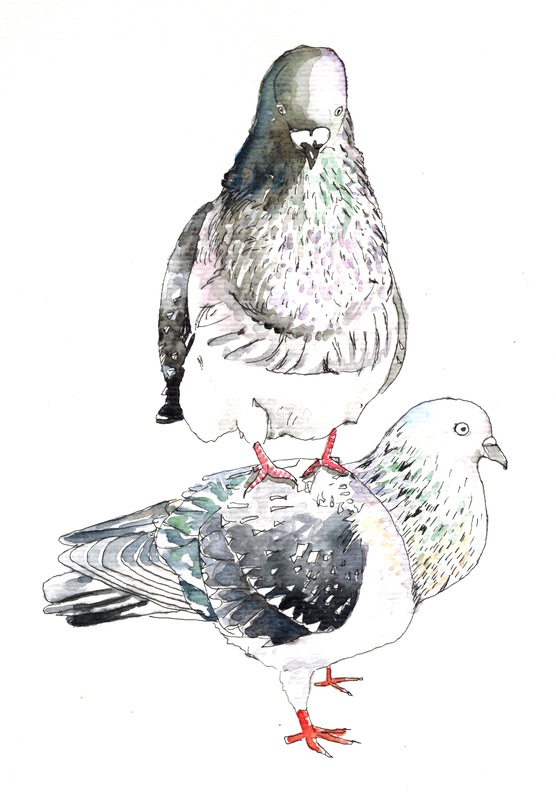 Even educated fleas do it.” Cole Porter wasn’t the first to witness a pigeon totem pole firsthand in the City of Lights. These lovebirds literally can’t get off one other! Needless to say, pigeons have got a good life here, much to the chagrin of homosapiens and sparrows alike. They are free to roam without a Navigo. They get weeks of paid vacation. They eat the choicest crumbs in the world, but they never get fat! They are a little aloof, but it’s probably cultural, right? But the life of a French pigeon isn’t completely careless; they are also on restaurant menus. Calilou, thanks for checking it out! Bon w-e, as we say in France.